Here is the story of what happened the first time I bought a skein of Cascade Magnum. 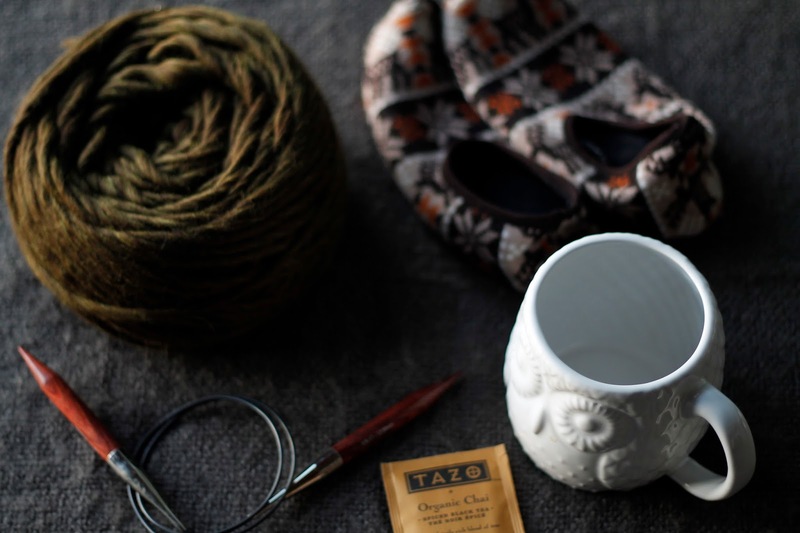 That evening, I collected a few of my favourite things, namely a soft skein of yarn in a pretty colour, big needles, my cute slippers from Japan, my owl mug and some Chai tea. I was ready for a relaxing evening knitting and catching up on House of Cards season 2 (so good... but I really wish they would stop the animal cruelty); it was going to be perfect. Or at least it started that way. The yarn, although lovely and soft, became really thick and stiff when knitted, and made for a terrible seed stitch cowl (my original plan). Don't get me wrong, I can see how it would suit some projects perfectly (like this rug), but, that evening, I was quite disappointed. About half way through, I just had to stop and find something else to make with the yarn. 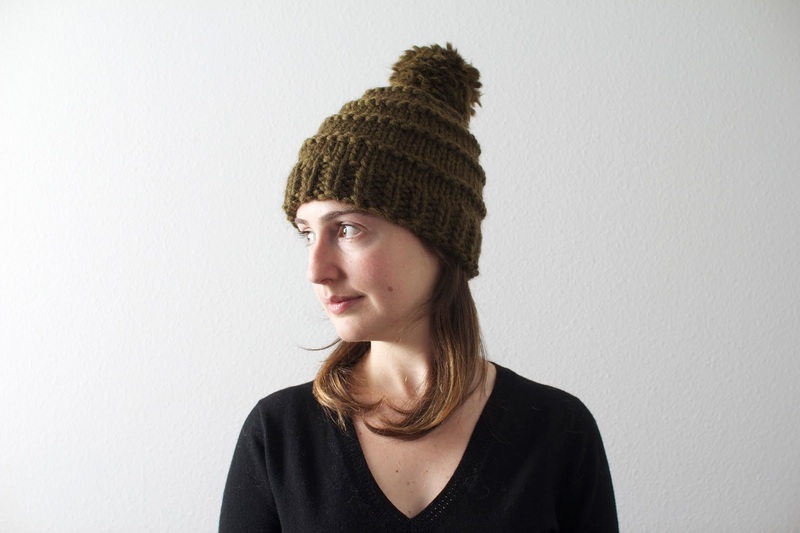 I decided on a hat that a friend at knitting class was making: Abi Gregoria's Vermonter hat. Thanks to the super bulky yarn and large needles, I hadn't wasted too much time on the failed cowl ( and no time is wasted while watching House of Cards, in my humble opinion), and the hat was another quick knit. I had to add a few rows to make it the right size for me, which my friend Kate had also mentioned. 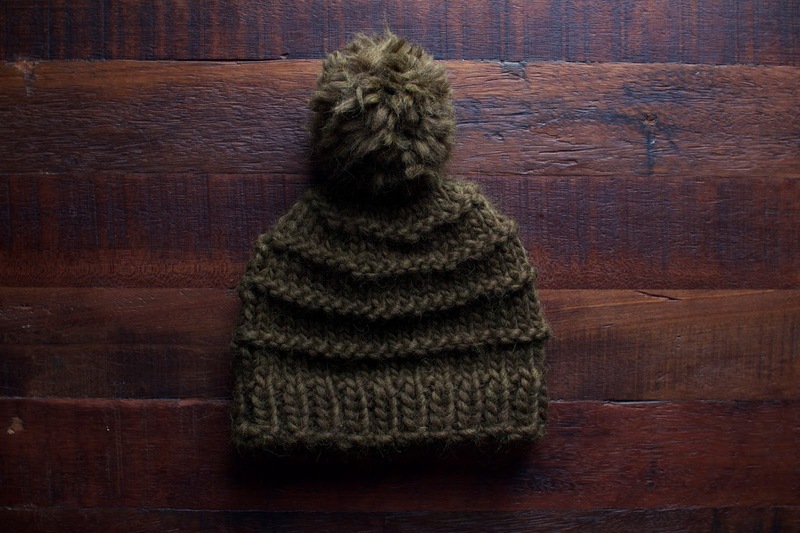 The Cascade Magnum makes for a super warm hat, and I love the simple pattern. My pom pom ended up quite fuzzy since I was reusing the yarn from the scarf; it was wavy after being ripped, so I just spread apart the fibers to make it fluffy. Cut the loops and trim the pom pom to your desired size and shape. Easy peasy. 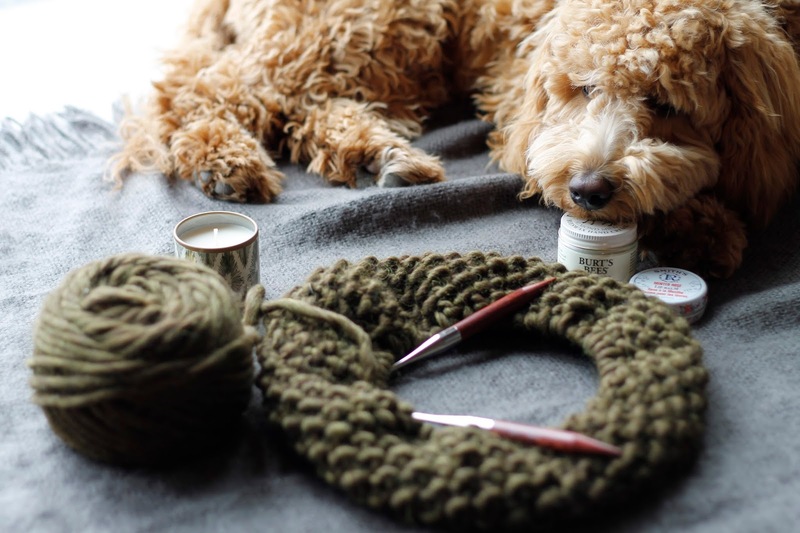 There are tons of videos on youtube, but I love this simple tutorial from Wool and the Gang.